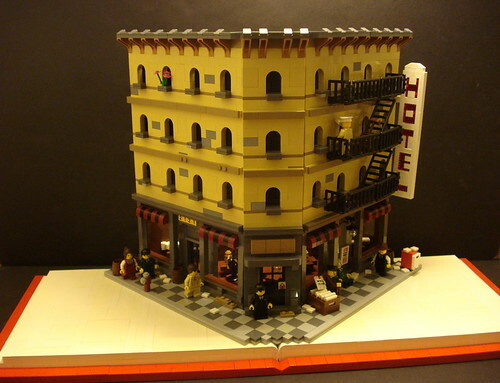 Brick Town Talk: Storybook - LEGO Town, Architecture, Building Tips, Inspiration Ideas, and more! What I enjoy most about this is the European look to it. The horizontal lines cutting across the facade makes for a simple, but realistic structure. The arched windows also make for a very appealing look. Good work, Profound Whatever!